The 2013 season starts !! The 2013 J2(J-league division 2)-season started. Consadole Sapporo had a 1st match with JEF-UNITED CHIBA on FUKUDA DENSHI ARENA (CHIBA-KEN). Both teams remained scoreless and the game went into endgame. Then in injury time, Consadole FW Uchimura made a shot on goal and secured his team’s victory. 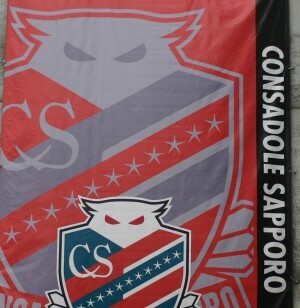 Newly demoted Consadole Sapporo took the 1st game. Sapporo’s new manager Keiichi Zaizen achieved the J-league first ever victory. HOME > Article > The 2013 season starts ! !